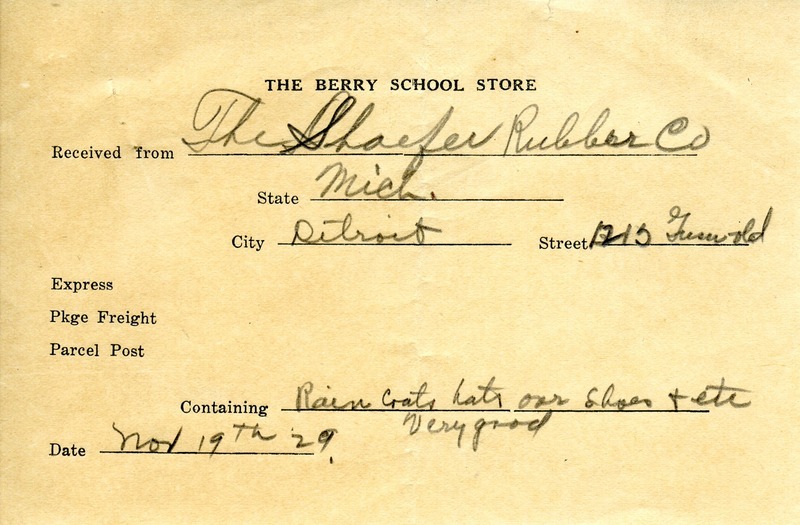 Martha Berry Digital Archive | Berry School Store Receipt of Donation from The Shaefer Rubber Co.
Berry School Store, “Berry School Store Receipt of Donation from The Shaefer Rubber Co..” Martha Berry Digital Archive. Eds. Schlitz, Stephanie A., Sherre Harrington, Chelsea Risley, et al. Mount Berry: Berry College, 2012. accessed April 23, 2019, https://mbda.berry.edu/items/show/10961.